Waterford Bank has an annual outing to recognize the best at their smaller sized bank. The company wanted a custom prize to recognize the one of a kind talent at their bank. 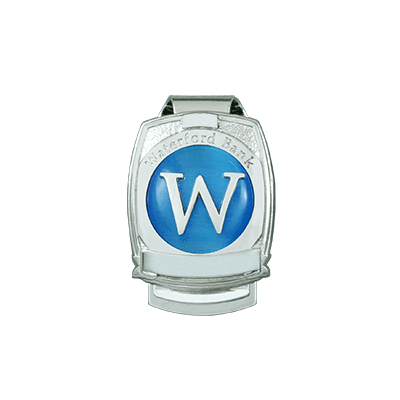 This custom money clip is truly one of a kind personalized with the winner’s name and year. 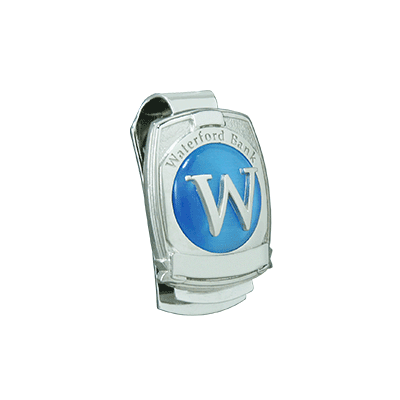 The money clip is nickel plated and features a blue cats eye stone with Waterford’s logo on top.